FakeNet – Beta – Windows Network Simulation tool for Malware Analysis. FakeNet is Windows network simulation tool designed for malware analysis. It redirects all traffic leaving a machine to the localhost (including hard-coded IP traffic and DNS traffic) and implements several protocols to ensure that malicious code continues to execute and can be observed by a malware analyst. The tool supports DNS, HTTP, and SSL protocols and provides a python extension interface for implementing new or custom protocols. It also the capability to listen for traffic to any port as well as create packet capture on the localhost. Right now the tool only support WinXP Service Pack 3. The tool runs fine on Windows Vista/7 although certain features will be automatically disabled. Dummy listener that will listen and display traffic destined for any port. Categories: 0day, Analysis . Tags: Malware, Security Tools . Author: seclist™ . Comments: Comments Off on FakeNet – Beta – Windows Network Simulation tool for Malware Analysis. 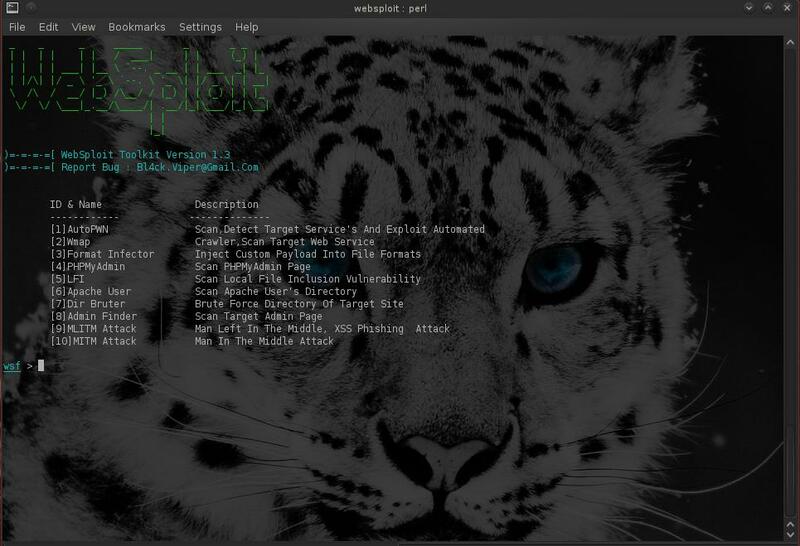 Mpge is a wrapper of msfpayload and msfencode of Metasploit. Is possible use it with Backtrack and Backbox.This wrapper creates trojan horses for Microsoft Windows, Linux and Mac Osx Panther, Tiger and Leopard.For mac osx in necessary after you creates a reverse shell insert in a package with Iceberg.dmg (Package Maker). Is possible creates files .dmg with DropDMG. I try this program after between two virtual machines: first real mac osx second virtual windows xp. Before i use this program between two real mac osx: The first mac osx is a mac book (black) and the second mac osx is a ibook g4 powerpc with os tiger. These two mac osx were connected on lan (intranet).The first mac osx (black) is in listening and expected the reverse shell. The second mac osx receive a packet (file .pkg or .dmg) and when the user click on file activate the reverse shell and insert a password with root. The first mac receive the reverse shell with root privilege. 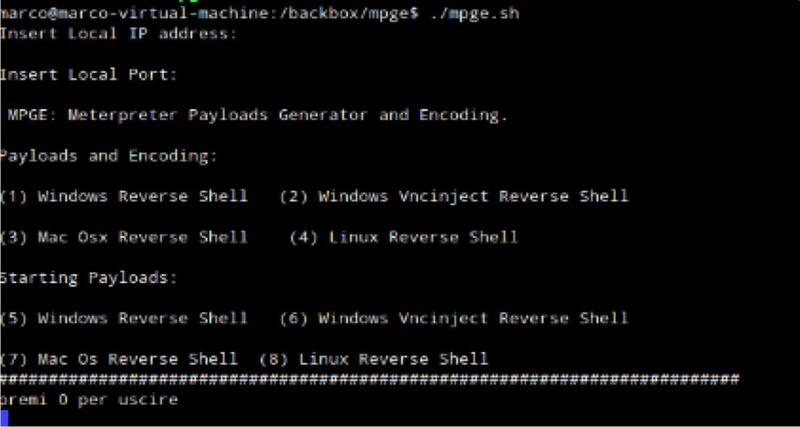 The script mpge.sh is a wrapper, while the files metrevshell443.rc, vncrevshell.rc, osxrev.rc, linux.rc are the files .rc that the script mpge.sh use to start the reverse shell and vnc reverse shell on Microsoft Windows. Osxrev.rc is a file that start reverse shell for mac osx and linux.rc is a file that start reverse shell for linux. Create a file named ClamavSetup1.exe and this is a trojan horse. The package per mac.doc is a doc that explains how to create these packets for mac osx. Use the script evil.sh with the rev shell mac2 in a creation of packet as indicated in a doc package per mac.doc. Dropdmg-3.1.2.dmg and Iceberg.dmg are the programs creates the files .pkg and .dmg for mac osx. The encoding for Microsoft Windows is x86/shikata_ga_nai for mac and linux of course it is not necessary. Use the script evil.sh and the rev shell mac2 in a creation of packet as indicated in a doc package per mac.doc. In the scripts tab we select the Script Directory Iceberg (Package Maker) where we placed our post install script (mac2) and we select it in postinstall the script.(evil.sh). 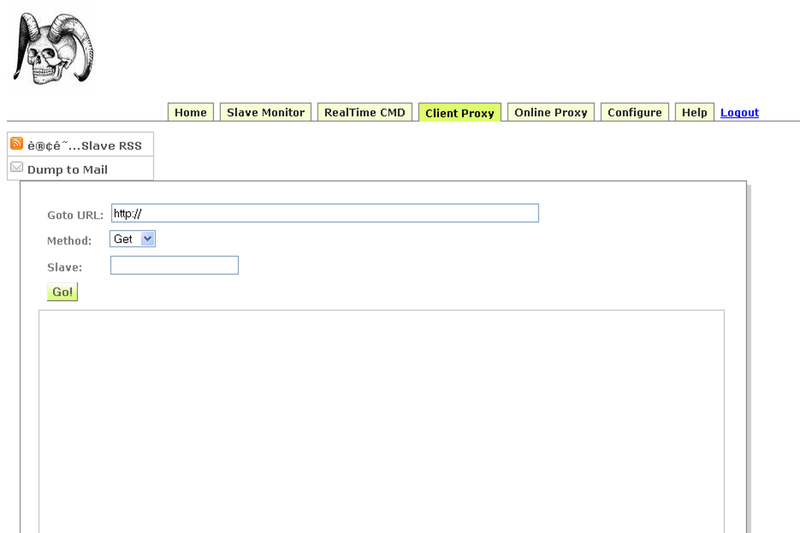 Now we click on the top left the Build button to build our pkg file. We place the file in a DMG on a share, on a USB stick or any other place from where our target will execute the installer thinking it is a valid package.We prepare our attacking machine to receive the shells that will be coming from the execution of the trojanned packaged in Metasploit and then we wait for the connections. This malware report is part 1 of 2. 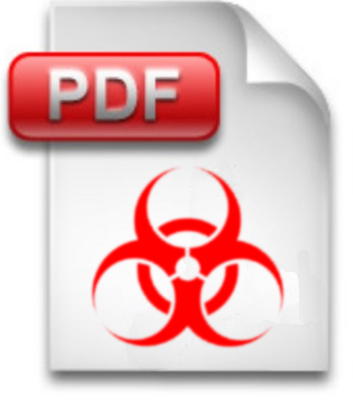 Part 2 will focus heavily on dynamic analysis, determining packers/encryption used and finding original entry point (OEP) of the malware sample, and will utilize IDA Pro, and Immunity de-bugger extensively. We will also bypass anti-debugging, and anti-reversing tactics employed by attackers, and malware authors in part 2. Stay tuned! This report is an effort to track, categorize, contain, understand root cause and infection vector of said user account/s, networked equipment or computer/s. This report pertains to all incidents reported by TIER II help desk, TIER III engineers, customer complaints or random IT Security audit/finding/pen test. Learning a model of malicious files. Classification of previously unseen files. Analysis of machine learning features.